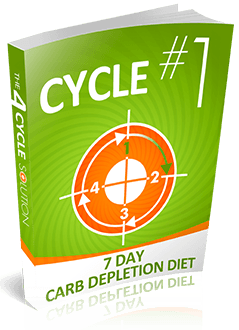 4 Cycle Fat Loss Solution Review - Is It Possible To Eat Carbs And Lose Weight? I read this article and found it very interesting, thought it might be something for you. 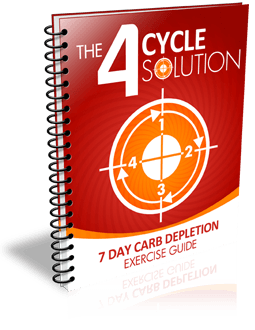 The article is called 4 Cycle Fat Loss Solution Review – Is It Possible To Eat Carbs And Lose Weight? and is located at https://trustworthyfitness.com/4-cycle-fat-loss-solution-review/. Do you love carbs and wish you could actually burn more fat by eating them? In this 4 cycle Fat Loss Solution review I’ll do my best to help you answer that question because Shaun Hadsall claims you can use his 4 Cycle Fat Loss Nutritions system to flip on your body’s fat burning switch to help you lose up to 7 pounds of fat in the first 7 days. It’s an interesting claim because everywhere you look on the internet you’re seeing products and articles telling you to avoid carbs or keep them as minimum as possible, but fat loss expert Shaun Hadsall is saying you can actually enjoy eating your favorite high carb foods this holiday season WITHOUT a fear of gaining fat. I first heard about this system a year or so ago, but due to scheduling conflicts and my wife battering a nasty M.S. flair up I didn’t get to really check it out and give it a full review. Shaun has recently updated his 4 Cycle Fat Loss Solution so it can include the latest information and is getting ready to re-release it so I thought why not give it the attention it deserves this time. In Shaun’s new 4 Cycle Fat Loss Solution he explains Carb Cycling and how it works and why it works. The entire 4 Cycle Fat Loss Solution program is based around this principal which Shaun has refined over the years and pretty much perfected. You’ll discover how to eat carbs correctly and how to add them into your life and diet in a “smart” way which can actually aid weight loss and allow you to burn fat 24/7. The program was designed to walk you through transforming your body to one that burns carbs for energy to one which burns fat for energy. Although Shaun really takes this further and shows you now how to trick your body into burning fat for fuel, but Shaun will teach you how to make your body adapt to this as a way of life! The 4 Cycle Solution is based on the actual eating habits of Japanese men and women which have been eating diets high in carbs for hundreds of years. The story is pretty interesting actually and you read it HERE. 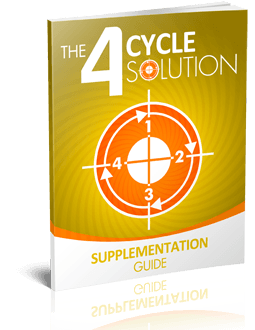 In this part of the review I want to take a look at exactly what you get with the 4 Cycle Solution system. When Shaun created this course he wanted to make sure you had a simple, easy, step by step scientific solution to cause stubborn, unwanted fat to just fall off. This is the first cycle of the 4 Cycle Solution and in case you were wondering about the name of the program it comes from the fact that this program has 4 completely different, distine cycles. The first part of this cycle is known as the 7 Day Carb Depletion. This part of the cycle shows you how to literally alter your metabolism and reprogram it. The reason you want to do this is because you want your body to start burning fat instead of storing it. Your body will now learn to use the fat as fuel instead of the carbs. This cycle will also show you how to finally goodbye to your sugar addiction and how even by eating carbs you won’t trigger those sugar cravings again. During this cycle you can lose between five and fifteen pounds in the first seven days. Although these results can vary of course, but this is what most people report. The second cycle of the 4 Cycle Fat Loss Solution is called Macro Patterning. This cycle allows you to really kick your fat burning into the next level. In this cycle you’ll learn how to start adding carbs back into your life and diet. You’ll also learn how to combine exercise with this cycle. Exercise works in combination with the carbs to really kick up your metabolism. The 3rd cycle allows you to overcome pretty much every type of adaptive response which your body may present you with in terms of losing weight. It contains tested meal plan which is only two weeks, but it will teach you to keep your fat loss on track, manipulate your hormones and start burning fat quickly while still enjoying your favorite carbs. This is the final cycle of the 4 Cycle Solution and if you made it this far you would have taught your body to overcome any responses your body may present that keeps you from losing weight. At this point you’ll be seeing weight coming off and now your body understands it can burn fat instead of carbs for energy. You’ll be taught how to increase carbs and calories to allow yourself to setup new metabolic set points. This allows you to keep your metabolism running strong and healthy. Now in addition to the main course you’ll also get access to a couple of free gifts as well. These are extra’s to the main program, but these really round out the 4 Cycle Solution in my opinion. This is a great addon in my opinion because it allows you to take the fat burning and supercharged metabolism you develop from the main program and take it even further with specific exercises which will enhance the material in Cycle 1. The workouts featured in this guide were designed to deplete the glycogen in your body rapidly and increase the production of a certain growth hormone which helps to make the first week a better and more result based one. 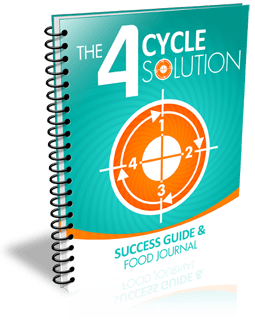 In this 4 Cycle Solution gift you’ll get access to a Success Guide and Food Journal and I think these are critical to long term success. There is a reason almost every personal trainer uses them in their business. It works and helps to keep you on track. It’s important to track results and stay on top of things and these two items do just that. In this final free gift you get the supplementation guide. Now just because one was included doesn’t mean you have to use them at all, but a lot of people do enjoy the use of them so Shaun Hadsall made sure to include this for you. You’ll be able to use this guide to help you in those moments when life is a little too crazy and you just don’t have time for something that day. Some people can set back their weight loss and fitness goals by months by using the wrong supplements, but Shaun will walk you through the entire guide and you won’t have a question left after it! In this free gift Shaun provides you with the solution to the number excuse people use for not finishing through or sticking to a nutrition or fitness program and that excuse is motivation and time. It’s rough when you have to work massive amounts of hours everyday just to make ends meet. So how does someone in this day and age make the time? Shaun addresses this and gives you the tools you need to stay on track for 365 days of the year. In the final free gift from The 4 Cycle Solution Shaun gives you the perfect step by step checklist that guarantee’s everything is where it needs to be for you. In other words it helps you keep track of everything within the program. It also provides you the long term carb cycling principals you need to maintain the program and keep your results going strong. This guide also helps you to put all the pieces together in case you’re looking to just do a shorter, more aggressive period for fat loss. This way you know how to maintain your results if you’re going for the long term approach or if you’re just looking for something in the short term. There aren’t a whole lot of cons, but I would have enjoyed more workouts with the system. The 4 Cycle Fat Loss Solution is based more around nutrition and diet, but I think if he included a complete workout program too this program would be amazing! It would then provide you everything you need. In this part of the 4 Cycle Fat Loss Solution review I want to take a look at what I consider are some positives to the course. The first is the 60 day money back guarantee! I don’t know about you, but I’ve been screwed over a few times with online products so I always feel safe knowing I can get a full refund if I’m not happy with the program for any reason. The 4 Cycle Fat Loss Solution is offered through Clickbank.com which is one of the leading online retailers of digital products. They offer a no question asked, 100 percent, money back guarantee for the first 60 days! So you have a full 60 days to give the program a try and see if it’s a right fit for you. Another pro is that the product is completely digital which means you’ll have access to everything within a few minutes of ordering. You don’t have to wait for anything to arrive in the mail. 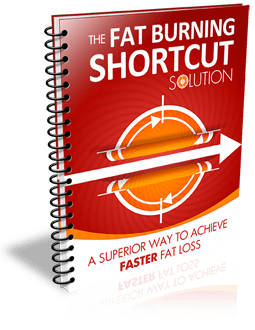 In addition to the main 4 Cycle Fat Loss Solution system you also get a number of bonuses with the purchase of this course. So let’s take a quick look at exactly what you’ll get. In this first bonus Shaun basically puts the entire 4 Cycle Solution on video for you! He includes all of the Macro-Patterning Cycles to make sure you’ll able to get off to quick start. 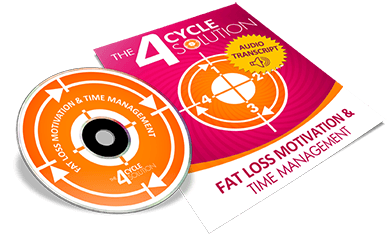 This 4 Cycle Fat Loss Solution bonus is a guide where Shaun Hadsall will show you how to double your fat burning potential in just 2 minutes. In all seriousness, it really is just 2 minutes. You’ll learn a special exercise secret that fitness models, physique competitiors and athletes have been using for years to stay in the best shape. Shaun will share it with you. In this bonus you’ll get this guide which will show you how to keep you body burning fat 24/7 while also giving you some serious energy to keep you going through the day. The guide uses simple, but unknown food timing tricks and you can start applying this guide ASAP. This guide will help you to master your hormones, control your metabolism and trains your body to never store carbs as fat, but to burn as energy instead. Overall the bonuses work well with the main system and offer some nice value on their own. A few things Shaun didn’t include in the main 4 Cycle Solution were included in the bonuses so keep that in mind. So with all of that being said it’s time to bring this 4 Cycle Solution review to a close, but before I do I want to share my final thoughts on Shaun Hadsall’s latest nutrition and diet program. We have finally come to the end of this 4 Cycle Fat Loss Solution review. Once again, I apologize for the long review, but I do my best to make sure I can provide you with all the information you need to know to make an informed decision about the product. So at the end of the review is when I usually give my personal opinion about the course. I typically like to just provide the facts, but I’ve noticed more and more people want to actually know “my” thoughts regarding the product. So do I like Shaun Hadsall’s 4 Cycle Fat Loss Solution system? The simple answer is YES! For years I’ve always been annoyed that the media and certain groups like to try and push their agendas down our throats. For years we heard fat is horrible for us when the truth is fat is a critical part of our diets. Then you hear people say low calorie diets are the only way to lose weight and the list just goes on and on. For once, here is someone who has the experience and knowledge telling us to be smart, do our own research and that carbs aren’t bad for you. Carbs can help you to burn fat and lose weight, but like anything in life you have to be smart about it. I love how Shaun addresses all over his 4 Cycle Fat Loss Solution website that you MUST BE SMART about it. Just because you can lose weight eating carbs doesn’t mean you should just eat tons of bread or rice. You have to have some balance in your life and diet and Shaun teaches you just how to do that with his system. As I was writing this 4 Cycle Fat Loss System review I kept finding myself agreeing with different statements and things Shaun wrote in his course. SHaun isn’t about hype or trying to sell some new weight loss magic. Everything in the 4 Cycle Fat Loss System is based upon years of study and research and can be backed up. This system which is based off of his Macro-Patterning Nutrition System can work for people of all ages. Our bodies are machines and these machines require a number of different energy and fuel sources and one of them is glucose. Glucose plays such an important part in our bodies because they are used within every single cell in our body and guess where we can get it from? Carbs. So many people claim carbs are the worst food you can and do nothing but make you pack on fat, but this isn’t true at all and I’m happy Shaun is doing what he can to educate people on the subject. His system gives you everything you need to start adding carbs back into your life and actually losing weight. You don’t have to give up bread or even pasta. You just have to know how to strategic add them into your diet and Shaun gives you the info and step by step system you need. I got to run, but at the end of the day I highly recommend Shaun Hadsall’s 4 Cycle Fat Loss Solution system, but I can’t take you if you should buy it because you have to make that decision, but if you’re tired of giving up your favorite foods in the name of losing a few pounds and you’re willing to put in the effort to read the material and apply it then you should get it. If someone who would prefer to listen to the media, who has no knowledge on this subject continue to sprout lies and if you want to continue to go without carbs because you “think” you won’t lose weight then you should close this 4 Cycle Fat Loss Solution review and keep losing weights while missing out on your favorite foods when you don’t have too. I hoped you enjoyed this review and if you’re interesting in purchasing Shaun’s system or just learning more then visit the official 4 Cycle Fat Loss Solution sales page. If you’re looking for a way to eat carbs and still burn fat then go with 4 Cycle Fat Loss Solution. Not only does it allow you to burn fat and feel great about yourself, but it also allows you to do it in a way where you don’t have to sacrifice your favorite foods.